Tim Cook, CEO of Apple Inc., testifies during a U.S. Senate Subcommittee on Investigations in May 2013. 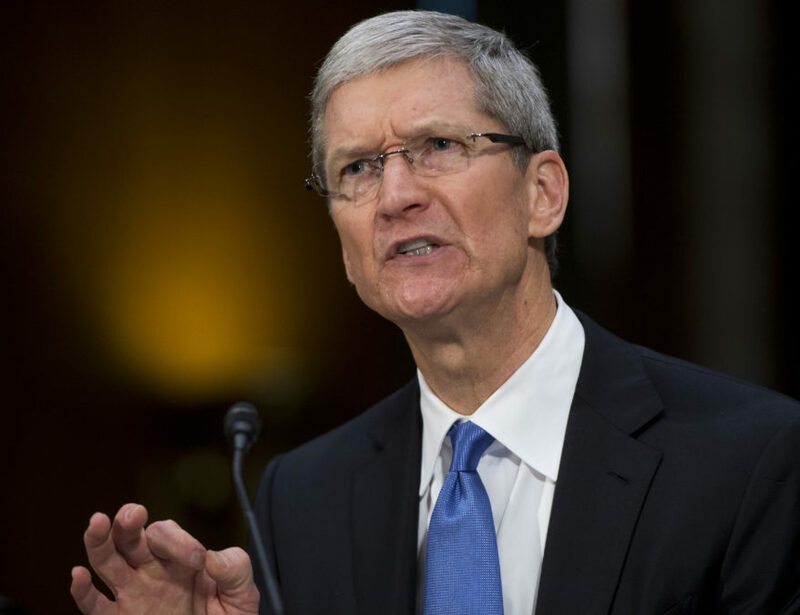 It was May 2013, and Apple Inc. chief executive Tim Cook was angry. Five months later, Ireland bowed to international pressure and announced a crackdown on Irish firms, like Apple’s subsidiaries, that claimed that almost all of their income was not subject to taxes in Ireland or anywhere else in the world. Now leaked documents shine a light on how the iPhone maker responded to this move. Despite its CEO’s public rejection of island havens, that’s where Apple turned as it began shopping for a new tax refuge. Apple’s advisers at one of the world’s top law firms, U.S.-headquartered Baker McKenzie, canvassed one of the leading players in the offshore world, a firm of lawyers called Appleby, which specialized in setting up and administering tax haven companies. A questionnaire that Baker McKenzie emailed in March 2014 set out 14 questions for Appleby’s offices in the Cayman Islands, the British Virgin Islands, Bermuda, the Isle of Man, Guernsey and Jersey. In the end, Apple settled on Jersey, a tiny island in the English Channel that, like many Caribbean havens, charges no tax on corporate profits for most companies. Jersey was to play a significant role in Apple’s newly configured Irish tax structure set up in late 2014. Under this arrangement, the MacBook-maker has continued to enjoy ultra-low tax rates on most of its profits and now holds much of its non-U.S. earnings in a $252 billion mountain of cash offshore. The Irish government’s crackdown on shadow companies, meanwhile, has had little effect. The inside story of Apple’s hunt for a new avoidance strategy is among the disclosures emerging from a leak of secret corporate records that reveals how the offshore tax game is played by Apple, Nike, Uber and other multinational corporations – and how top law firms help them exploit gaps between differing tax codes around the world. The documents come from the internal files of offshore law firm Appleby and corporate services provider Estera, two businesses that operated together under the Appleby name until Estera became independent in 2016. The files show how Appleby played a cameo role in creating many cross-border tax structures. German newspaper Süddeutsche Zeitung obtained the records and shared them with the International Consortium of Investigative Journalists and its media partners, including The New York Times, Australia’s ABC, the BBC in the United Kingdom, Le Monde in France and CBC in Canada. These disclosures come as the White House and Congress consider cutting the U.S. federal tax on corporate income, pushing its top rate of 35 percent down to 20 percent or lower. President Donald Trump has insisted that American firms are getting a bad deal from current tax rules. The documents show that, in reality, many big U.S. multinationals pay income taxes at very low rates, thanks in part to complex corporate structures they set up with the help of a global network of elite tax advisers. In this regard, Apple has led the field. Despite almost all design and development of its products taking place in the U.S., the iPhone-maker has for years been able to report that about two-thirds of its worldwide profits were made in other countries, where it has used loopholes to access ultra-low foreign tax rates. Now leaked documents help show how Apple quietly carried out a restructuring of its Irish companies at the end of 2014, allowing it to carry on paying taxes at low rates on the majority of global profits. Multinationals that transfer intangible assets to tax havens and adopt other aggressive avoidance strategies are costing governments around the world as much as $240 billion a year in lost tax revenue, according to a conservative estimate in 2015 by the Organization for Economic Cooperation and Development. Documents reviewed by ICIJ and other media partners provide insight into how those strategies work. They show the creative methods that advisory firms devise in response to attempts by regulators to crack down on tax shelters. “U.S. multinational firms are the global grandmasters of tax avoidance schemes that deplete not just U.S. tax collection but the tax collection of most every large economy in the world,” said Edward Kleinbard, a former corporate lawyer who is now a professor of tax law at the University of Southern California. The Trump administration and Congress are considering whether to grant a one-time tax holiday that would allow big multinationals to bring home, at a sharply reduced tax rate, more than $2.6 trillion they have stowed in offshore subsidiaries. An Apple spokesperson declined to answer a list of questions about the company’s offshore tax strategy, except to say it had informed U.S., Irish and European Commission regulators of its reorganization at the end of 2014. “The changes we made did not reduce our tax payments in any country,” the spokesman said. By quietly transferring trademarks, patent rights and other intangible assets to offshore companies, many other global businesses have also been able to cut their tax bills dramatically. The leaked papers show how the ownership of prized assets – including rights to Nike’s Swoosh trademark, Uber’s taxi-hailing app and medical patents covering such treatment options as Botox and breast implants – can all be traced to a five-story office block in Bermuda occupied by Appleby and Estera. Ownership of Facebook’s user database for most countries outside the United States as well as rights to use its platform technology – together worth billions of dollars – is held through companies at a similarly unassuming address on Grand Cayman used by Appleby and Estera. And Apple’s money trail can be traced to a building used by Appleby and Estera in Jersey, 19 miles off the coast of northern France. Addresses shared by the two offshore firms on tax haven islands have played host to secretive shell companies buried deep within the corporate architecture of many of the largest multinationals. Despite moves by governments to phase out loopholes, tax shelters remain as popular as ever. Governments around the world have challenged some of the tax structures maintained by Appleby and Estera clients — though not always successfully. Nike triumphed over the U.S. Internal Revenue Service a year ago. A dispute between Facebook and U.S. tax authorities continues to play out in court. Apple, meanwhile, is being pursued for $14.5 billion in Irish back taxes after European regulators ruled that Ireland had granted illegal state aid by approving Apple’s tax structure. The leaked documents help explain how three small jurisdictions – the Netherlands, Ireland and Bermuda – have become go-to destinations for big corporations looking to avoid taxes on their overseas earnings. Among them, these three spots hold less than one-third of 1 percent of the world’s population – but they accounted for 35 percent of all profits that U.S. multinationals reported earning overseas last year, according to analysis by Gabriel Zucman, an economist at the University of California, Berkeley. Over three decades, U.S. multinationals have been growing bolder, shifting vast chunks of profits into tax havens. Concerns about their tactics were largely ignored until government finances around the world came under pressure in the wake of the 2008 financial crisis. Beginning in the fall of 2012, the issue came to a head in a welter of government inquiries, tax inspector raids, investigative reporting and promises of reform. By the time the U.S. Senate Permanent Subcommittee on Investigations released 142 pages of documents and analysis for its public hearing on Apple’s tax avoidance in May 2013, the world was paying attention. The subcommittee found that Apple was attributing billions of dollars of profits each year to three Irish subsidiaries that declared “tax residency” nowhere in the world. For more than two decades, the directors of Apple’s three Irish companies – including, for many years, Tim Cook – did just that. By running these Irish subsidiaries from group headquarters in California, they avoided Irish tax residency. At the same time, the directors knew that their Irish companies would not qualify for tax residency in the United States because American tax law worked differently. Under U.S. rules, a company has American tax residency only if it is incorporated there. “Apple sought the Holy Grail of tax avoidance: offshore corporations that it argues are not, for tax purposes, resident anywhere in any nation,” then-Sen. Carl Levin (D-Mich.), the Senate subcommittee chairman, said at the 2013 hearing. Ireland’s finance minister at the time, Michael Noonan, at first defended his country’s policies, saying, “I do not want to be the whipping boy for some misunderstanding in a hearing in the U.S. Congress.” But by October 2013, in response to growing international pressure, he announced plans to require Irish companies to declare tax residency somewhere in the world. At that time, Apple had accumulated $111 billion in cash almost entirely held by its Irish shadow companies, beyond the reach of U.S. tax authorities. Each year, the pile grew higher and higher as billions of dollars in profits poured into these low-tax subsidiaries. Company officials wanted to keep it that way. So Apple sought alternatives to replace the tax shelter arrangements that Ireland would soon shut down. At the same time, however, the iPhone-maker wanted its interest in the offshore world kept quiet. Baker McKenzie’s role in setting up offshore structures for multinationals, and then defending them when challenged by tax regulators, is legendary. The law firm has also been involved in lobbying against proposals to crack down on tax avoidance by technology giants. It has 5,000 attorneys in 77 offices around the world. Former partners include Christine Lagarde, the former French finance minister and now managing director of the International Monetary Fund. Behind closed doors, Apple decided that two of its Irish companies should, with the help of Appleby, claim tax residency in Jersey, one of the largest island shelters with strong links to the U.K. banking system, where Apple’s Irish subsidiaries already held accounts. Jersey is a crown dependency of the United Kingdom, but it makes its own laws, sets its own tax rates and is not subject to most European Union legislation, making it a popular tax haven. New leaked documents show that Apple has for years been able to report that about two-thirds of its worldwide profits were made in other countries, where it has used loopholes to access ultra-low foreign tax rates. 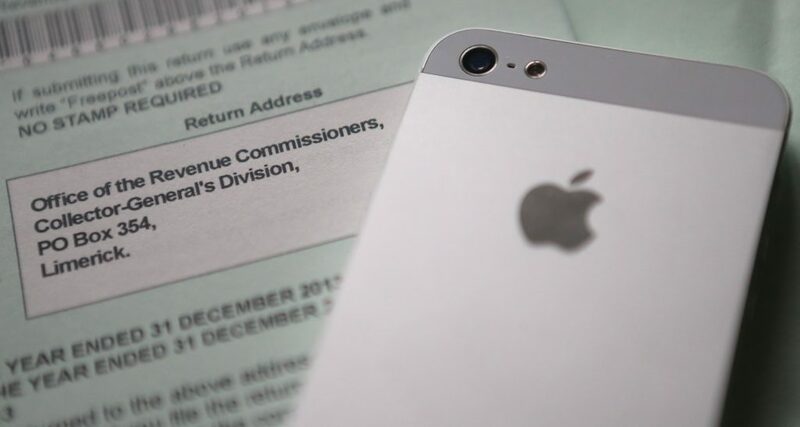 As Apple’s plans to use an offshore tax haven progressed, another potential problem emerged. In mid-2014, again under pressure from other governments, Irish ministers had begun exploring a ban on a tax shelter known as the “Double Irish,” an avoidance strategy used by scores of companies, including Google, Facebook, LinkedIn, other tech companies and drugmakers such as Abbott Laboratories. The Double Irish allows companies to collect profits through one Irish unit that actually employs people in Ireland and is tax resident there – then route those profits to a second Irish subsidiary that claims tax residency in a low-tax island such as Bermuda, Grand Cayman or the Isle of Man. A crackdown on such arrangements could have interfered with Apple’s plans in Jersey before they had gotten off the ground. Although it was aimed at Double Irish structures, the potential rule change would ban all Irish companies from claiming tax residency in a tax haven. What her letter did not tell, but leaked Appleby papers now show, was that Wielenga was quietly orchestrating a long-standing Double Irish structure at Botox-maker Allergan, where at the time she worked as head of tax. For over a decade, the structure has shifted profits away from Ireland, where Allergan has a Botox factory, to Bermuda. The lobbying seemed to work. Ireland included a generous grandfathering clause for Allergan and other multinationals using Irish tax structures. “For existing companies, there will be provision for a transition period until the end of 2020,” Noonan declared on Oct. 14, 2014. More precisely, the fine print of policy documents revealed, the grandfathering provisions would apply not just to companies in existence when the finance minister spoke but also any new ones created up until the end of 2014. That gave Apple just enough time. By the start of 2015, it had restructured its affairs in Ireland, including securing tax residency in Jersey for Apple Sales International and Apple Operations International, two of the three Irish shadow companies highlighted in the U.S. Senate investigation a year earlier. For the previous five years, Apple Sales International had been Apple’s biggest profit generator, churning out more than $120 billion, or close to 60 percent of Apple’s worldwide earnings. Before their move to Jersey, these two subsidiaries had played a leading role in helping Apple accumulate and hold $137 billion in cash – most of which came from non-U.S. profits barely taxed by any government in the world. The latest figures indicate that since Apple’s reorganization of its Irish companies this sum has increased 84 percent, though Apple won’t confirm which of its foreign subsidiaries own this cash. This pile of money has inadvertently made Apple one of the biggest investment funds in the world, and its offshore cash reserves have been put to work in a portfolio that includes corporate bonds, government debt and mortgage-backed securities. Apple was not the only multinational that moved quickly to grab a final chance before 2015 dawned. “At the end of 2014 a window of opportunity closes,” advisers from big U.S. law firm DLA Piper explained to CitiXsys, a retail software supplier based in New York. DLA Piper set out a frenetic schedule of incorporations and intellectual property transfers to be rushed through before the new year to set up a Double Irish. ICIJ contacted CitiXsys and other multinationals featured in this story. CitiXsys did not respond, and Uber declined to comment. Nike, Facebook and Allergan declined to answer questions but provided general statements saying they fully complied with tax regulations in countries where they operate. DLA Piper declined to comment, and Baker McKenzie said it does not discuss client matters. Appleby declined to answer questions but said on its website: “We are an offshore law firm who advises clients on legitimate and lawful ways to conduct their business.” Estera, the corporate services company that split away from Appleby at the beginning of 2016 and continues to administer many offshore companies on behalf of clients, declined to comment. While CitiXsys’s rapidly assembled structure mirrored the structures embraced by Facebook, Google and others using the “Double Irish,” Apple’s reorganized Irish companies appear to function very differently. The iPhone-maker has declined to answer ICIJ’s questions about its new setup, but it appears to give a key role to another of Apple’s Irish subsidiaries, a company called Apple Operations Europe. Together with Apple Operations International and Apple Sales International, the company made up the three Irish firms criticized by U.S. senators in 2013 for being “ghost companies,” not tax resident anywhere in the world. By 2015, tighter Irish laws had caused all three to find a new tax home. But while the other two Irish companies took up residency in Jersey, Apple Operations Europe became tax resident in Ireland, the country of its incorporation. A clue as to why a multinational might want a subsidiary that was liable for taxes in Ireland can be found, once again, in finance minister Noonan’s budget announcement in 2014. While media headlines focused on his decision to crack down on Double Irish arrangements, less attention was paid to measures not mentioned in his budget speech but contained in accompanying policy documents. In particular, the paperwork revealed plans to expand an already generous tax regime for companies that bring intangible property into Ireland. The incentive, known as a capital allowance, offered Irish companies big tax deductions over many years if they spent money buying expensive intangible property. Importantly for multinationals, however, it was also available to an Irish company that bought intangible property from another company within the same group. The arrangement was especially attractive to those multinationals that were in a position to sell their intangible property into Ireland from a subsidiary in a tax haven, where the gain from the sale would go untaxed. In effect, even though the internal sale would cost the multinational nothing, such a move could nevertheless unlock huge tax breaks in Ireland. Even before Noonan sweetened the terms of this capital allowance tax break, some experts suggested it could be used to achieve tax rates as low as 2.5 percent. Apple declined to answer questions about whether it has taken advantage of this tax break by selling rights to use its intangible property from Apple Sales International in Jersey to Apple Operations Europe in Ireland. It’s clear, though, that a large amount of intangible property landed abruptly in Ireland around the period when Apple reorganized its three Irish subsidiaries. In fact, the country’s gross domestic product for 2015 leapt by an incredible 26 percent, boosted by close to $270 billion of intangible assets suddenly appearing in Ireland’s national accounts at the start of the year — more than the entire value of residential property in Ireland. The ICIJ showed the findings from its investigation to J. Richard Harvey, a Villanova University law professor, and Stephen Shay, senior lecturer at Harvard Law School. In 2013, both of them gave detailed testimony on Apple’s previous Irish structure to the U.S. Senate committee’s investigation. They both told the ICIJ it appeared likely the iPhone maker had transferred intangible assets to Ireland. “While it is not 100 percent clear how Apple has restructured its Irish operations, one strong possibility is that they have transferred more than $200 billion of valuable intangible assets … to an Irish resident company, for example Apple Operations Europe,” Harvey said. The Irish Department of Finance told the ICIJ: “The Irish regime for capital allowances … is broadly similar to regimes available in other countries and does not confer any additional benefits to multinationals.” However, in October 2017, Ireland reversed the sweetened terms Noonan had added to the tax break three years earlier. But the iPhone maker still won’t say how much profit it makes through its Irish companies — making it impossible to gauge whether $1.5 billion is a lot of tax to pay in three years or not. Jesse Drucker, a reporter with The New York Times, contributed to this story.